Although more known for his passion for trading luxurious porcelains and jewelries, Charles Lewis Tiffany also created a few firsts in horology in the city of New York. Twenty years after he started out by selling watches made in Europe in 1847, he marketed his own, the Tiffany Timer, a bestseller stopwatch; and built New York’s first public clock outside his Fifth Avenue flagship store, Tiffany and Company. 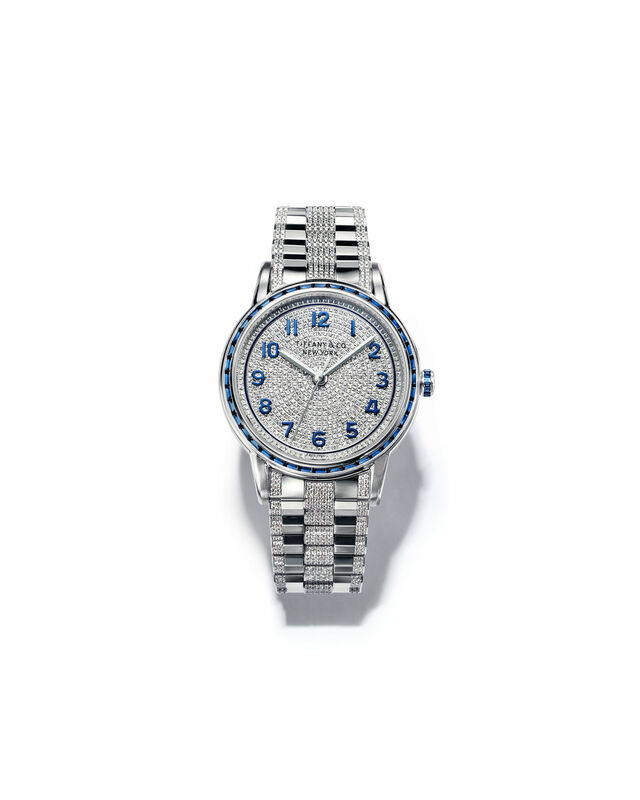 Designed in America, Tiffany watches have been completed with the maestro of Swiss craft ever since the jewelries house built its own watchmaking facility in Switzerland in 1874. In the 1940s, as United States was coming of age as the global superpower, Tiffany and Co seized the symbolic moment by giving a wristwatch as gift to President Franklin Delano Roosevelt. The iconic piece is the inspiration of the CT60 line of today, with CT being the initial of Charles Tiffany, and every watch dial is engraved with its origin, New York. Available in automatic three hands and automatic chronographs. Men’s watch in 18k rose gold. 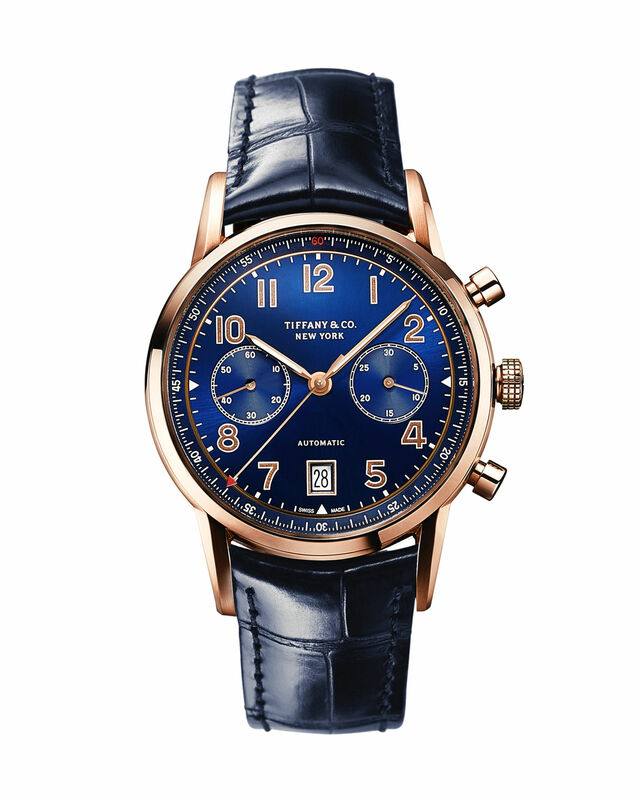 Blue soleil dial features gold poudré numerals.